← Hot and sweaty one! 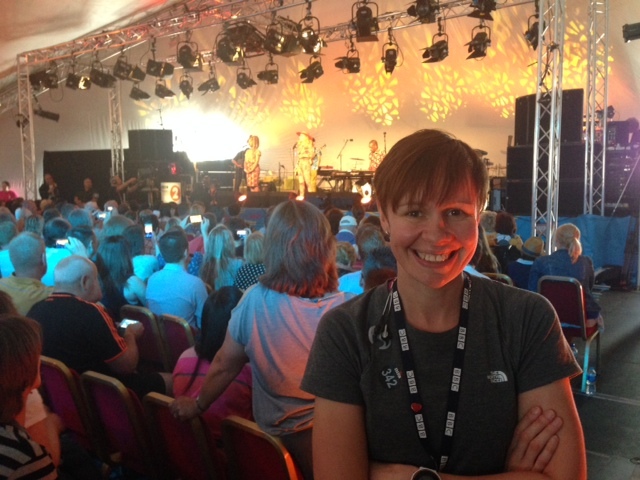 On Monday I was in the big tent watching Ken Bruce on Radio 2 – I may have made my step mum jealous 😉 – Simple Minds, Paloma Faith and Rebecca Adlington. I started that day off with and early morning 5 mile run. Two days after I have blood but I was feeling ok. A nice easy run. 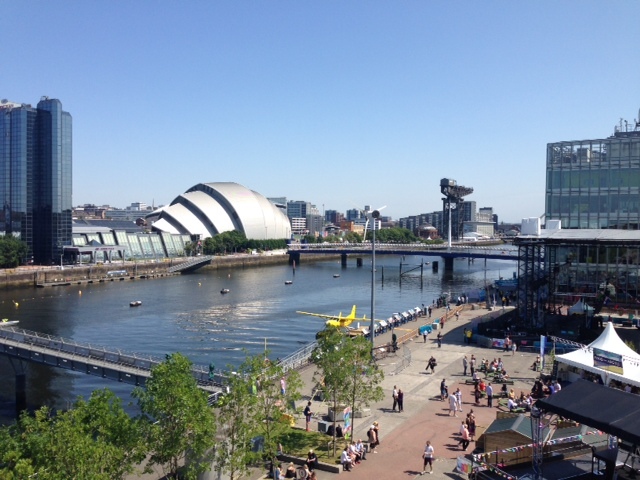 Then on Tuesday we had a team lunch outside in the sun. Nice and relaxing, then up on the Ferris wheel for some fun. On Tuesday I did my own strength session in the morning, then at night I ran 2 miles to the gym, did our first ‘Lift It’ session and ran 2 miles home. 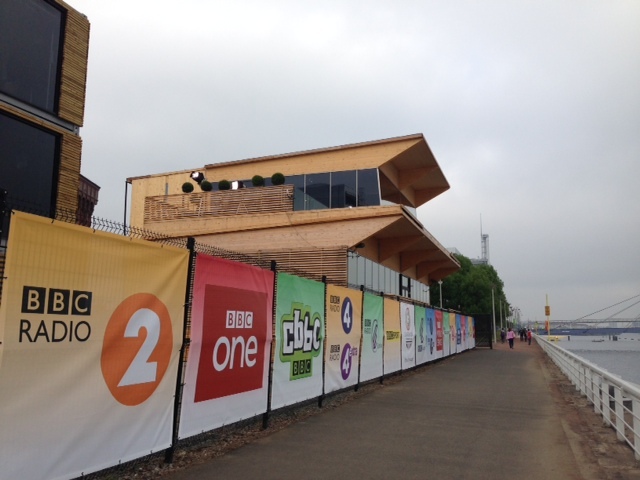 Wednesday, the BBC breakfast team starting going out live from this recently built temporary building / studio. I walk past it every day and every day the path is getting busier and busier. I had a bit of a sore throat when i woke up on Wednesday. It sometimes happens after I give blood. But it seems to have not got any worse. I was a little sore from strength too but ok.
Thursday was a good day in work, I got plenty done. I passed Ken Bruce, but didn’t have the courage to stop him for a pic and an autograph for my step mum. I will though – maybe Monday when he’s in the tent again (I know some of the production team). I met one of my coaching clients on Thursday morning. She’s had a refocus on what she’s eating, and lost 5lbs last week, it’s all queuing well. We did a nasty hill session before breakfast. 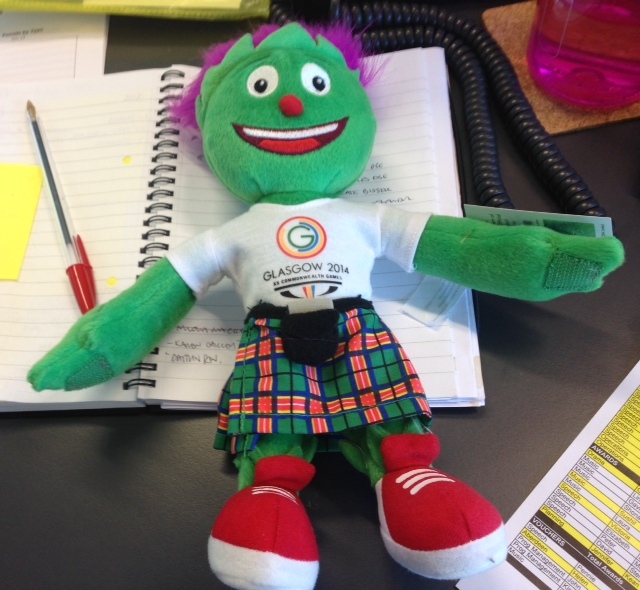 Then I went out at lunchtime and ran to George square to go to the official merchandise shop. Another rather hot 2 miles there and even hotter (it seemed) 2 miles back. 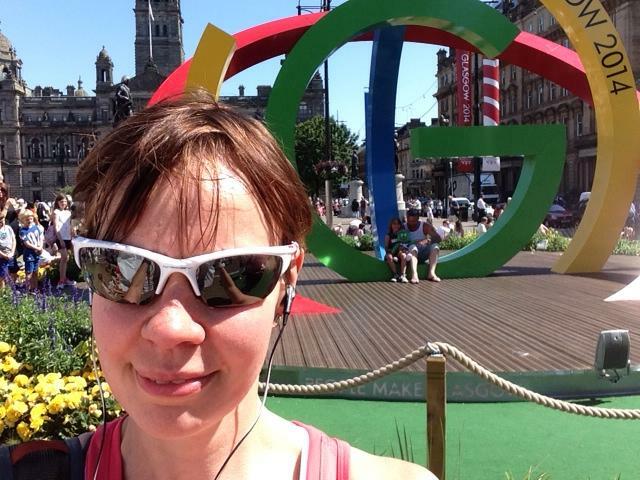 Glasgow was buzzing and I counted 67 volunteers! I got a few goodies and presents from the shop and had another lateish night watching the swimming.